﻿ At Marriott Conference Centers, we focus on the critical details so you can concentrate on results. The logistics, environment, meals and more will all be managed for you. Let our conference hotels' service managers execute for you so you can concentrate on the business at hand. Marriott Conference Center – Your Marriott Awaits®. Take our guided tour of the meeting planning process. 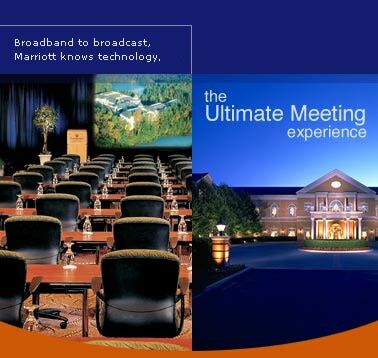 ﻿ Here's your guide to a successful business event with Marriott Conference Center hotels. ﻿ Did you know, you can earn free vacations just by hosting your event at one of the many Marriott Conference hotels? It’s all part of Marriott Rewards. Stay connected, productive, entertained with Marriott Technology Services.